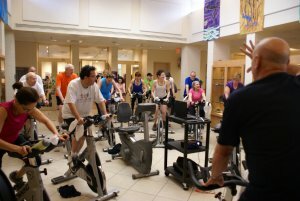 Join us for a challenging ride in the Gallery! Go all out for 90 minutes or bring a team of two and each ride for 45 minutes. Prizes available. All proceeds benefit Nourish Now. Contact Rachel Ossman at 301.348.3710 or rossman@benderjccgw.org.